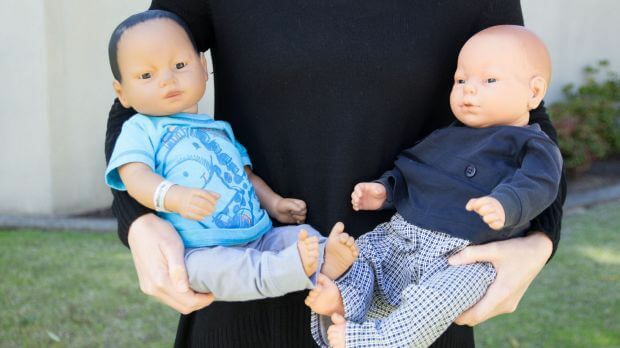 One might think that caring for a robotic baby doll — one that cries and sleeps like a regular human baby — might discourage teenage girls from getting pregnant. According to new research, however, the robotic infants actually appear to have the opposite effect. Known as virtual infant parenting, the practice of giving lifelike dolls to teenagers to look after has always been controversial. The robot babies are programmed to cry, burp, sleep, wake up, need feedings, and more. Should the dolls be neglected or otherwise mishandled, they are programmed to “die”. Many high school girls who are given the babies find the experience to be rather harrowing — as do parents. “We’ve had midnight telephone calls from parents saying: ‘Please tell me how to turn it off, my daughter’s going crazy,'” Janette Collins, a London-based youth counselor said to the Financial Times last October. “It’s the very few girls who score really well that you have to look out for. In my experience they’re the ones who go off and get pregnant for real — you’ve accidentally taught them they can cope,” she added. It would seem her concerns are justified. According to study published in the medical journal The Lancet, girls who participated in the virtual infant parenting program were more likely to become pregnant or have an abortion by their early 20s than those who did not. The study was conducted in Australia and monitored three years worth of so-called “robot interventions.” Researchers compared more than 1,000 girls who took part in the program with more than 1,000 who did not. The chances of pregnancy were double — eight percent — in the robot baby group versus four percent in the control group. Moreover, the likelihood of abortion was greater with the robot baby group than the control group, by a margin of nine percent to six percent.